My love affair with candied jalapeños began last year. I first wrote about it here and ended up making a second batch. Since last summer I’ve had lingering thoughts about those delicious, amazing, fantastical peppers and waited for my upcoming garden harvest. 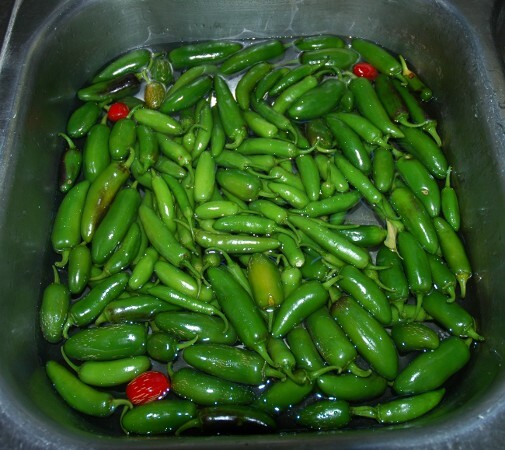 I had a new recipe I was considering trying, but once Lee heard that he begged for me to make candied jalapeños instead. 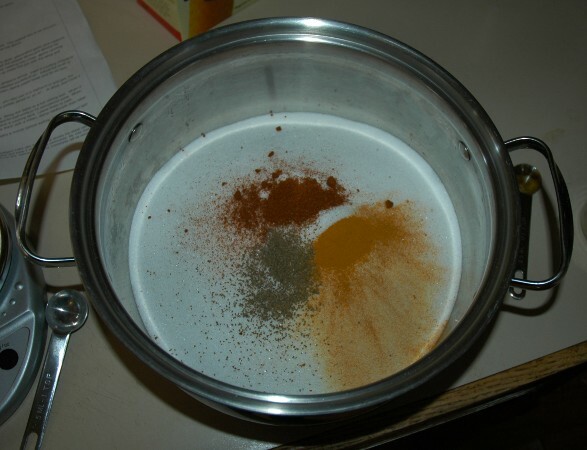 This is from a guy who doesn’t like spicy food. I went to the garden and picked over my pepper plants (note to self: plant three times as many peppers next year). Then I snapped on my rubber gloves and went to work slicing, and mixing, and stirring, and…well you know, all those things you do when you can. The recipe for these awesome, use-on-everything-you-can-think-of peppers, is found here. You are going to want to make a batch. Then you won’t want to share. You’ll find yourself hogging the jar, pretending you can’t hear the pleas for more candied peppers from those around you. those sound amazing! I don’t think I have the heat to be able to grow these though..bummer! Maybe with a greenhouse? Even in our climate, peppers and tomatoes do much better with a greenhouse and eggplants require a greenhouse to mature. Our second batch of cowboy candy last year was made with store bought jalapeños. Those look awesome! Now where am I going to find 3 lbs of jalapeños? I am definitely putting those on my list of things to can. Those little red peppers in with the jalapeños, are they Scotch bonnets? 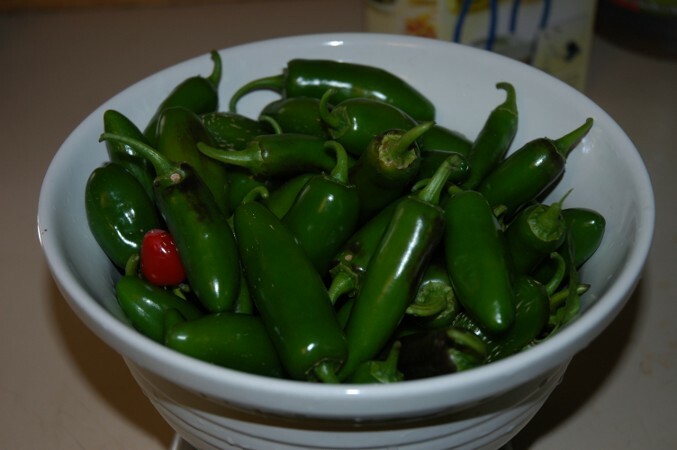 Okay, it is so pathetic that I am replying to myself, but I’ve just gone out and bought 3 pounds of jalapeños. I soooo have to try these that the 2 week mellowing period is going to be impossible to wait for. Glad to hear you are giving them a try. I hope you like them as much as we do! We are already talking about how many more pepper plants we are going to have to grow next year, because our favorite things to preserve (salsa, cowboy candy) all require huge quantities of peppers. When you make up the recipe, a few won’t fit in the jar so you get to try those early. We usually cheat after a week and open a jar, but they are a little better with age. Awesome. Just awesome. I’m making more for Christmas gifts. Thanks for passing along that winning recipe, it’s always appreciated! Getting caught up on reading your posts. Everything is looking so good! Great progress on the house, the garden looks fantastic, and so many delicious looking things being put by. Can’t say I’ve ever tried candied jalapenos. Are they really that good?